KATHMANDU, Jan 31: The Supreme Court has directed the government authorities to restrict the use of pesticides in vegetable cultivation as such pesticides are affecting the health of consumers. 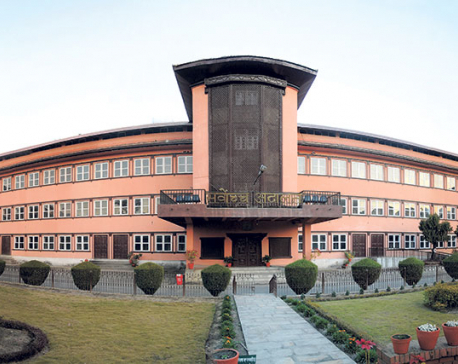 A division bench of Justices Purusottam Bhandari and Bam Kumar Shrestha issued a mandamus order on Monday to restrict the use of pesticides by farmers in vegetable cultivation as such use may be harmful to human health. The bench told the authorities-the Office of the Prime Minister and Council of Ministers and the Ministry of Agriculture-- to initiate suitable measures immediately. The SC was responding to public interest litigation (PIL) filed by advocate Tulsi Simkhada. The litigation states that the rampant use of pesticides has been seriously affecting the health of consumers. The apex court also directed the government to make necessary arrangements to remedy the situation. Underlining the responsibility of the government for the enforcement of existing laws, the apex court ordered the authorities to strictly implement legal provisions that have a bearing on public health. Saying that regular monitoring by the government is required to ensure the supply of wholesome fresh vegetable, the apex court called for the implementation of legal provisions that are already in existence. In his writ petition lodged on April 13, 2017, Simkhada claimed that consumers are deprived of wholesome vegetables and underlined the urgency of intervention by the apex court. He added that according to various research studies, the soil has been losing fertility because of the use of pesticides. The petition also states that pesticides have given rise to serious diseases in human beings because these substances get consumed with the vegetables. The government has not shown seriousness in controlling use of pesticides in vegetable cultivation and has failed to carry out regular monitoring. Article 36 of the Constitution has ensured the right to wholesome food while Article 44 ensures consumers' right to quality goods. The Consumer Protection Act, 1998 has ensured the right to food free of adulteration with pesticides and the Pesticides Act, 1992 has banned the use of vegetables for a certain amount of time if these are cultivated with pesticides. But the government has not been implementing the Act effectively.